I cannot tell you how often we get calls from parents who are in need of sleep and want help getting their baby to sleep better. Infant sleep is not clear-cut, and there may be lots of reasons why a baby is not sleeping. Did you know there is one quick fix that can help your baby go to sleep and stay asleep? Change the type of light bulb or night light you have in your child’s sleeping space. Light from electronic devices trick our brains into thinking itis still daytime. We’ve all probably heard by now that screen time before bed is not a good idea because it keeps up awake. That’s because the wavelengths of blue and white light emitted from electronic devices trick our brains into thinking it is still daytime. This inhibits the production of melatonin – a hormone our bodies produce to help us go to sleep and stay asleep. Many parents use night lights instead of turning on the standard lights as a way to minimize disruption during nighttime feedings and diaper changes. This is an excellent idea except for one thing. Most of these are blue, white, yellow lights. Did you know it is not just the lights from electronic devices that affect our brains, but this disruption is also caused by regular light bulbs? Did you also know that these types of lights also affect infants and young children? Feeling crafty? 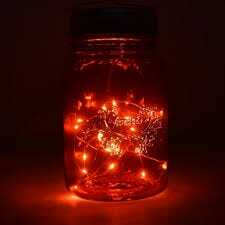 Make your own night light with battery operated lights in a jar. One easy fix you can make today is to use red light bulbs and night lights in the space your child sleeps. Super easy! The wavelength of red lights differ from all of the others and do not disrupt our normal melatonin production. Using red lights allows you to be able to see but will not be so bright it blinds you when turning on. Not only can this help your little one go back to sleep after 2 am feedings and diaper changes but it can probably help you get back to sleep too! 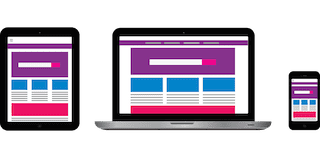 Contact us or book now for now for a phone consultation or in person appointment if you’d like more information or sleep support. Drink Up! 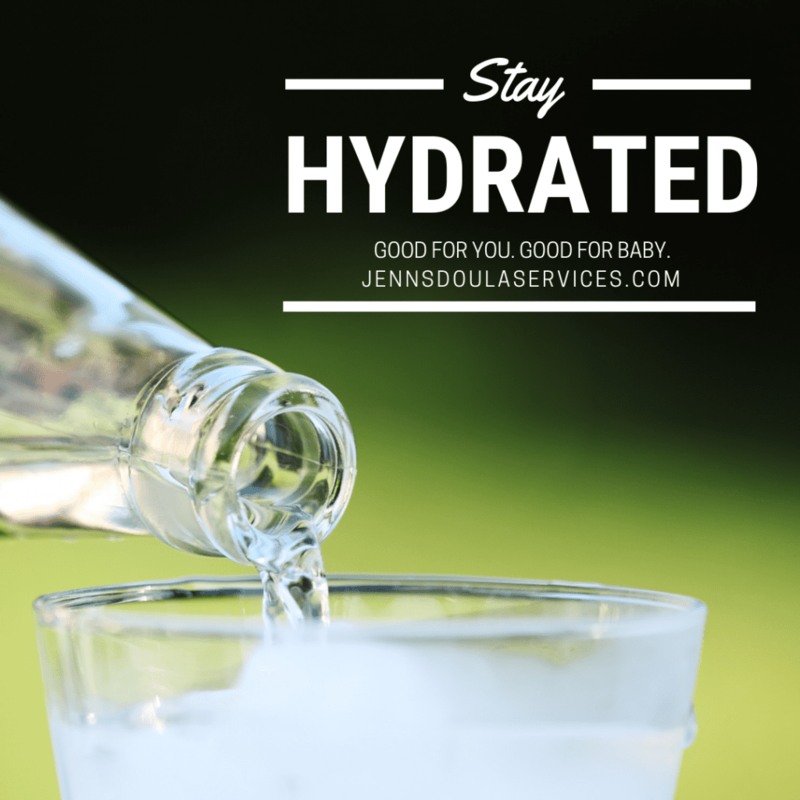 Tips for staying hydrated during pregnancy and postpartum recovery. Water is vital in our daily lives. Every part of our bodies rely on water to function properly. Drinking enough water helps our bodies regulate body temperature, keep joints lubricated, and absorb necessary nutrients. Water is also essential to our body’s ability to remove waste/toxins. Staying hydrated during pregnancy and postpartum recovery is vital to the health of our bodies and to the health of the growing baby. During pregnancy, it is recommended to increase water intake by about one large glass of water per day over normal daily needs. During pregnancy, it is recommended to increase water intake by approximately 8-10 ounces of water per day over normal daily needs. Blood volume drastically increases during pregnancy to accommodate the needs of the baby. Our bodies need adequate water intake to help facilitate this increase. Staying hydrated helps maintain proper amniotic fluid levels and helps transport essential nutrients and to the placenta and growing baby. Morning sickness during pregnancy can lead to dehydration. Dehydration can lead to preterm labor adding to the importance of drinking enough water during pregnancy. During your recovery after giving birth, staying hydrated is also essential. Regardless of how your baby was born, your body has worked hard. Adequate hydration during this postpartum period helps our bodies meet the changing physiological needs of the recovery process. feeling thirsty – did you know that feeling thirsty is often a sign that you may already be dehydrated? Have at least one water bottle and take it everywhere you go. It is easier to drink water if you already have it with you. We love this one because it is easy to clean and has a clip which can easily attach to a bag or pack. Place water on your nightstand, and so you can drink a few sips of water when you wake up at night and when you first wake up in the morning. Limit caffeine intake. The current recommendation for pregnant people is to limit caffeine to less than 200mg/day. Caffeine is a stimulant which increases blood pressure and heart rate. It is also a diuretic – meaning it causes you to urinate more frequently which can lead to dehydration. Use an app to track your water intake and help remind you to drink water throughout the day. This article has some fun suggestions. Add lemon/lime or fruit to water for extra flavor. Can’t drink all water all of the time? We totally understand. Try drinking herbal teas or adding lemon/lime or fruit to your water for extra flavor. Popsicles are a great way to keep up with your water intake. Look for whole fruit/no added sugar varieties or make your own. Add a glass of 100% fruit juice to your daily routine. You can dilute juice with a little (or a lot of water) if desired. 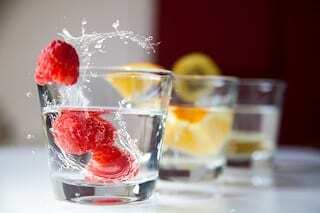 Snack on watery fruits like citrus and berries. Always speak with your care provider regarding questions or concerns you may have.